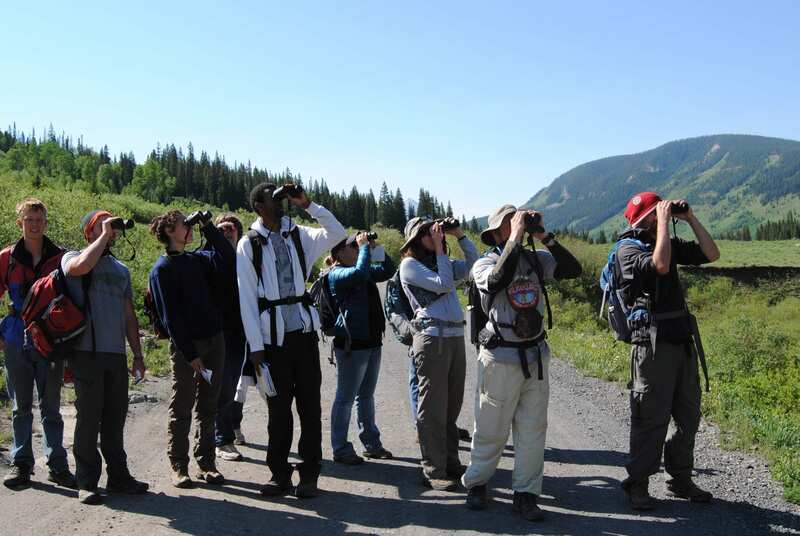 Course description: Wildlife biological research applies a broad range of field and academic skills such as making keen observations, safely capturing and handling wildlife, properly analyzing data and writing technically. This course will provide students with several field-based, hands-on experiences to learn how to identify and survey vertebrate animal communities (e.g., radio-tracking, bird capture). Emphasis will be placed on using museum specimens to learn mammal and bird identification, as well as identifying birds using visual and audible characteristics in the field (yes, some early mornings). Field trips will include visiting various ecosystems, including an all-day field trip to the Gunnison Basin to learn radio telemetry, all-day field trip to The Mexican Cut to learn about the interactive effects of ecosystem quality and tiger salamander populations, and an overnight field trip to the Black Canyon of the Gunnison. Assessment: Student proficiency will be based on a diversity of assessments, including short writing assignments, field quizzes, participation, student-led discussions, a field journal, and a final practical exam. Textbooks: There is no formal textbook for this class, but students should purchase the Sibley Field Guide to Birds of Western North America, or a comparable bird field guide. Digital field guides are acceptable. Other required readings will include selected articles and/or chapters that will be provided. Required equipment: Binoculars (there will be a few to loan out, but please bring your own or try to buy/borrow a pair), field journal, pencils, daypack, water bottle, snacks, sweater/fleece and waterproof shell, , spare hiking socks, hat, sunscreen, sunglasses, hiking boots. You are responsible for making yourself comfortable in the outdoors. RMBL Community Members may sit in on any given course session, with advance permission from the instructor and space permitting. Van space may be limiting for some sessions. the USDA Forest Service, Gunnison National Forest.